When you work as a contract technical writer, you can maximize your productivity by choosing the tools that work best for you. These tools can vary widely depending on who your clients are and the type of work you’re doing. And they change as technologies improve. Today I thought I’d share five applications I currently use every day. Remember the days when you had a single email address? Maybe you’re lucky enough that you still do, but most of us now have five or more email addresses. For security and convenience, some of my clients prefer me to use a company email address on an exchange server. What this used to mean was that I had to have a VPN connection into the company, and an Outlook profile configured to access the exchange server. Or use Outlook Web Access, which is great if you’re out of the office for a short time, but awful if you have to use it regularly. If you had more than one exchange account, you had to have an Outlook profile for each account. With Outlook 2010, this is no longer true. Now, you can have several exchange accounts and other pop accounts visible from a single profile. Each exchange account has its own Inbox, Calendar, and Task List, but you can do clever things like view calendars one on top of the other, so that you can see a whole day or week of meetings at a glance. This works surprisingly well, although you have to be careful to add tasks and appointments to the correct list or calendar. TIP: Select “Use Cached Exchange Mode” on the Server Settings page for exchange accounts. Initially I didn’t have this check box selected, and so because Outlook assumes the exchange account is your primary account, when the exchange server was down for maintenance, I couldn’t open Outlook, because it couldn’t connect to the server. Once I’d selected Cached Exchange Mode, Outlook ignored the fact that it couldn’t connect to the server, and simply showed me the cached view of my mailbox. Often I work using a Remote Desktop Connection. The application I’m writing documentation for is installed on a machine in client’s office, and other software that I use, such as RoboHelp, is also on that machine. This makes it really easy to take screenshots, cut and paste text from one file to another, and use SourceSafe with a database on the network, all without needing a VPN connection. But at times the connection can be slow, and if I’m working on a Word document, for example, it’s easier to email it to myself and edit it on my own computer, particularly for documents that require lots of reformatting. For a few months that’s what I’d do – email documents back and forth. And then I discovered Dropbox. Dropbox lets you set up a synced folder. Install it on your remote and local computers, and then simply drag and drop files into the Dropbox folder. Then you can work on the files from either computer. For example, when I’m working on release notes, I put the Word file in my Dropbox folder, open it on my local computer to do all the formatting, save and close the file, then open it on the remote computer to add the necessary screenshots. You can also set up shared folders with other Dropbox users. It’s so simple to use, I can’t imagine going back to emailing documents to myself. I know I’ve talked about using Skype before, as a way of staying in touch with people you work with remotely. But did you know you can use it as a simple desktop sharing application? Technical writers explain tasks simply and clearly, which means we’re often asked to help with training or problem solving for the applications we’re familiar with. For example, I’m the go-to person for installing the SourceSafe client, for figuring out why CHM help files won’t display over the network, and for fixing Word documents so that markup and comments don’t appear in the printed version. Using the Share Your Screen feature of Skype, I can now see the person’s desktop and talk them through the issue, seeing exactly what they’re seeing and clicking on. To share your desktop, make a Skype call to the person you want to share your desktop with. Once you’re on the call, go to the Call menu, and select Share Your Screen. The person you have called should maximize their Skype window to see your desktop at full size. There is no way currently to give someone else control of your mouse, but for simple desktop sharing, this is a quick and easy solution. I first learned about Keepass from the book titled Upgrade Your Life (this book has tons of great ideas for better organizing your electronic life). Keepass is a simple database for storing your usernames and passwords. As a technical writer I have hundreds of user credentials for things like my network login, applications, and product forums. I used to keep these written in a notebook, but then when I was looking for a password, I had to remember which notebook I’d written it in. With Keepass, I now have all my passwords in one place. I don’t have to remember them, and I can easily find them, even if I only use a password once a year. If you don’t like the idea of keeping your passwords in a database, another suggestion is to use an Address book, indexed with letters. Keep your Skype username and password under S for Skype, or your Madcap User Forum information under M for Madcap. But really, try Keepass! I use Notepad++ for editing HTML files. For one of my clients, I manage a static web page, adding links to technical documents to the page once or twice a month. For work like this, there’s no need for a full-featured HTML editor. Notepad++ displays the HTML with colored tags, making it easy to see where I need to add my lines of code. Simple, but effective. How about you? Do you use any of these tools? Which other tools do you use to increase your productivity? 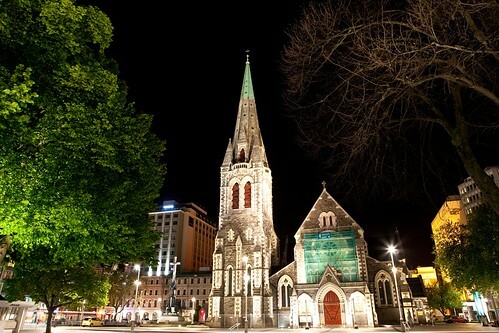 Sympathies to all the people in Christchurch NZ affected by the earthquake this week. This entry was posted on Thursday, February 24th, 2011 at 11:05 am	and is filed under Tools. You can follow any responses to this entry through the RSS 2.0 feed. You can leave a response, or trackback from your own site. I have a query. I am working on one of the WebHelp creation assignment. I am using oXygen editor to create a .xml file with docbook 4. The thing is when I transform it into webHelp output in oXygen I do get the output but when I import the same file into RoboHelp application to create the robohelp version of WebHelp the TOC is not getting generated. Whats the catch? could you refer some pointers to find the solution? Unfortunately I haven’t ever tried to do that myself. Have you tried Googling to see if anyone else is following a similar process? Yes Jenny, I tried to googling it but didn’t get any satisfactory answer. Anyway so I made changes into the css file from the oXygen transformed output. Well… the thing I was looking is to have the similar output across the IE and chrome and mozilla browsers.